Frank Chiachiere came of age riding transit in New York City and Philadelphia, and has lived in Seattle for over 15 years. In 2007 he started the local transit blog Orphan Road, and began writing for STB in 2012, where he provides administrative and technical assistance along with the occasional blog post. By day, he works as a digital product designer and marketer. Congestion pricing is getting more likely in New York … and Portland? Related: Uber/Lyft tax in Seattle? “It’s a car in a very small tunnel.” Indeed. 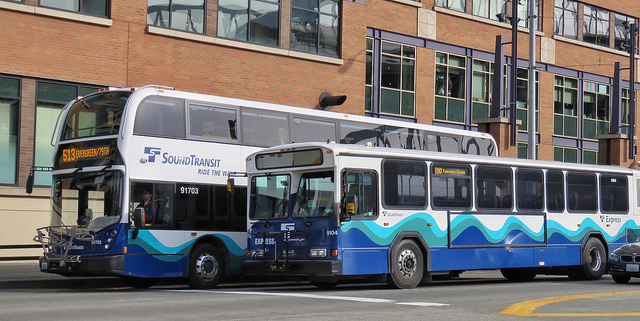 The C Line is the busiest of 12 former Alaskan Way Viaduct routes that serve nearly 30,000 passengers from West Seattle, White Center or Burien. 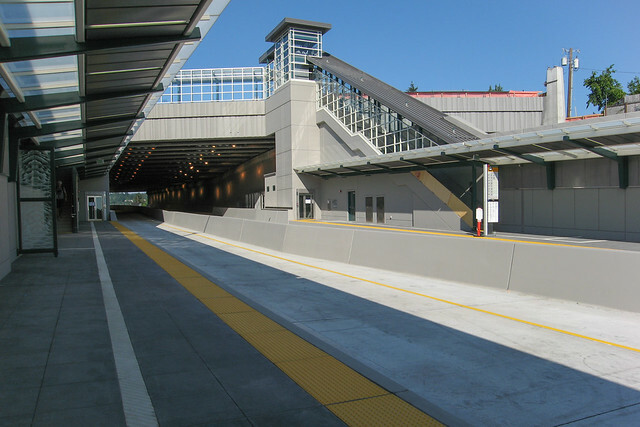 They moved last month to the Highway 99 tunnel’s new stadium-area interchange when the viaduct closed for good. 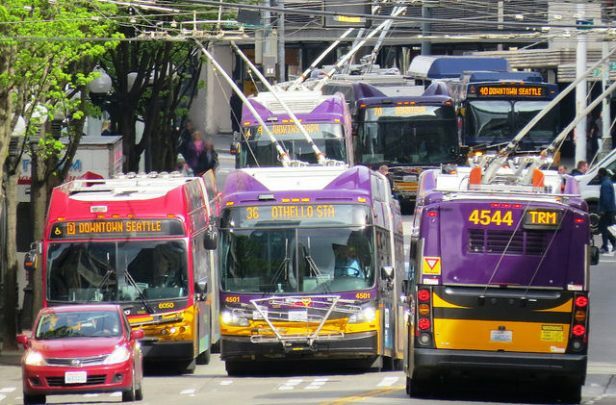 The buses eventually will get bus lanes on waterfront Alaskan Way, but this year they’re detouring on First Avenue through the historic Pioneer Square district. Read the whole thing. It’s gonna be a tough year for buses using the interim 1st Avenue pathway until Alaskan Way opens. Lindblom explains the ins and outs and alternatives incredibly well. “Big events are nothing new, and they’re nothing new for big cities anywhere in America,” [Durkan] said. When there’s a game during rush hour, that’s the time to stay downtown, have dinner and not be in a hurry to go home, she said. I love me a good happy hour, but as the mayor surely knows, many bus riders have to pick a kid up from day care or head out to a second job or any number of things that make it hard to just chill out downtown until 7pm or later. What’s next on the housing agenda? Will Mayor Durkan meet the council’s 2019 bike lane deadline? U-Link turns three. Seems like yesterday. 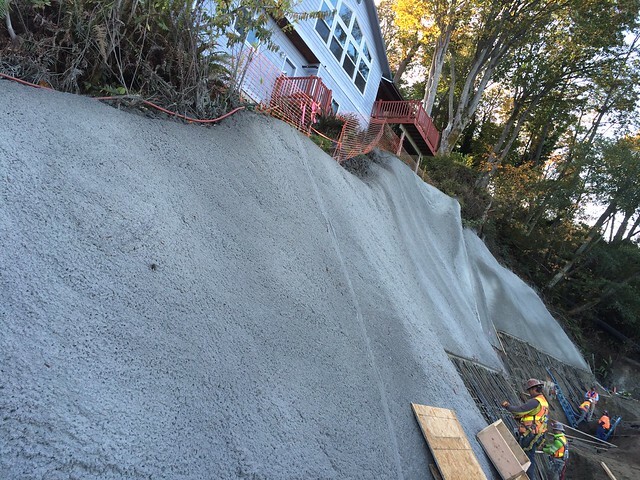 The Missing Link is under construction in Ballard! Tomorrow is Transit Operators Appreciation Day. Provocative research paper looks at Seattle and contends that gentrification of dense areas paradoxically increases emissions. Upshot seems to be that rich people just consume more stuff. 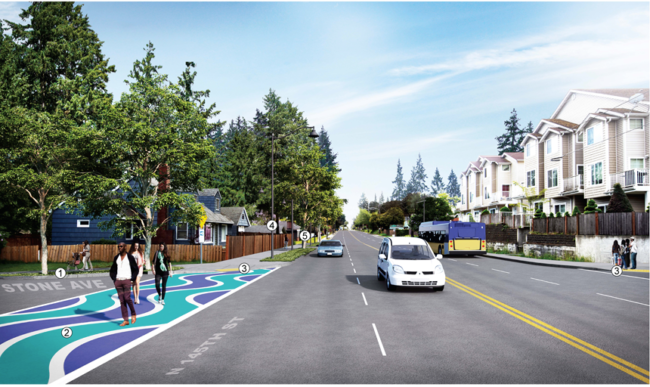 The Times ($) looks at upzones coming to Rainier Beach. 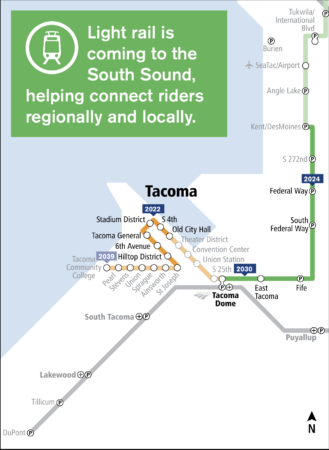 That could rise even more, between about $500 million and $2 billion, if Sound Transit decides to enhance the routes beyond the basic alignment approved by voters. “Tunnels are really more expensive, said Cathal Ridge, Sound Transit’s Executive Corridor Director for West Seattle and Ballard. The costs of the representative alignment are creeping up. The accompanying video segment is excellent as well. The content won’t be surprising to anyone who reads this blog, but it’s really well put together and does a good job of explaining the high-level tradeoffs. Watching it I was struck by how far we’ve come as a region: zero minutes of airtime are given to light rail opponents. Everyone interviewed supports the project. 10 years ago this same piece would have had at least one person talking about how buses are better and light rail is a waste of money. See also: Seattle Magazine touting the best neighborhoods near light rail. Remember when the Freeman-backed Bellevue City Council fought like hell to keep Link away? You don’t hear much about that anymore. 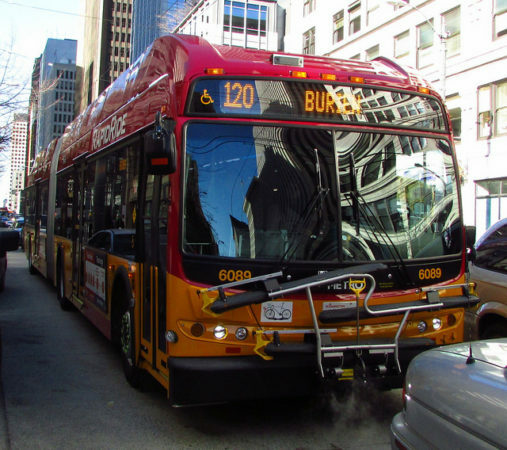 SDOT and Metro are still hoping for a 2021 opening date for RapidRide H in Delridge, but some potential utility work could delay things until 2022, according to a presentation (PDF, video) to the city’s Sustainability Transportation Committee on Tuesday. Staff seemed hopeful, however, that an agreement with Seattle Public Utilities to move the stormwater facilities off of Delridge Way could let the project proceed as planned. As usual, the messy tradeoff between bikes, buses, and on-street parking leads to some compromises. Parking will be removed in some areas, especially where SDOT is adding both bus and bike lanes. There will be some protected bike lanes and some diversion to neighborhood greenways on either side of Delridge. The (generally high quality) greenways themselves will be improved. SDOT is responding to the community’s desire to extend the northbound bus lane further south, to reduce delays in the AM peak. We’ll know more at 60% design (this would be a good thing to advocate for if you go to one of the spring design presentations). Finally, SDOT is interested in working with Sound Transit to coordinate capital improvements with a future Delridge link station, though it’s still very early in the ST planning process. 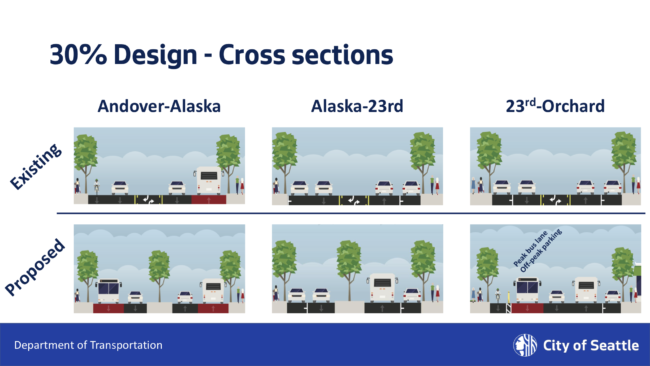 The long, narrow nature of the corridor and lack of major cross-streets means that there’s real potential for speed and reliability improvements with dedicated lanes, in-lane stops, and queue jumps. The next round of outreach will happen this spring, with a goal of construction in 2020 and opening in 2021. 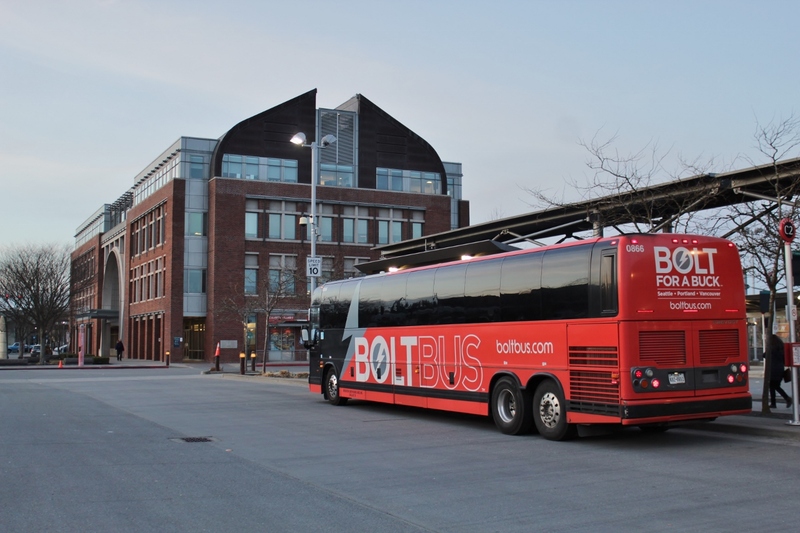 Route 120 is the 10th busiest in the system, with 9,000 daily riders. The $70M project budget includes paving and stormwater as well as the bus & bike infrastructure. After all, the reason that more buses don’t have their own lanes has little to do with engineering. Setting up a special space for buses usually means taking it away from private vehicles and parking spots, and people literally get murdered for that. Less extreme, car commuters and their elected officials—a group that sometimes includes the very decision-makers who may ultimately decide the fate of a bus-lane proposal—often fiercely resist projects that threaten their existing vehicle space. Which is why small-scale pilots can be useful. 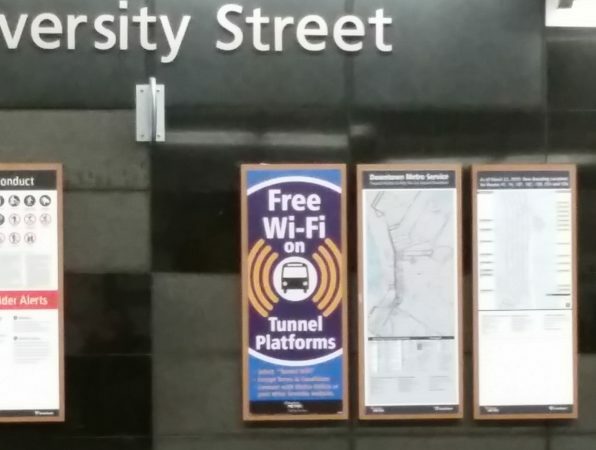 “They’re a great way to demonstrate the value of transit priority and engage those who benefit most—transit riders,” Matute said in an email. On way to think of a “tactical” bus lane is as part of an inverted planning process: instead of doing a bunch of outreach and having to fight against the status quo, a transit agency can change the facts on the ground with a quick bus lane pilot, in some cases using nothing more than traffic cones. Suddenly the bus riders who are benefiting from the change form a powerful new constituency for making the lane permanent. A new status quo is born. Bliss references a UCLA best practices guide on TTLs, which includes some examples from around the country. 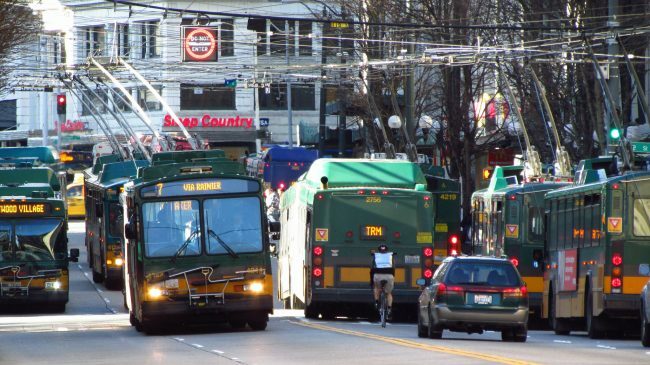 The study distinguishes “tactical” bus lanes from a more “strategic” BRT-style projects that involve more capital spending and land use coordination. Everett, MA and Cambridge, MA stand out as being true “tactical” efforts, where the cones went up literally overnight. 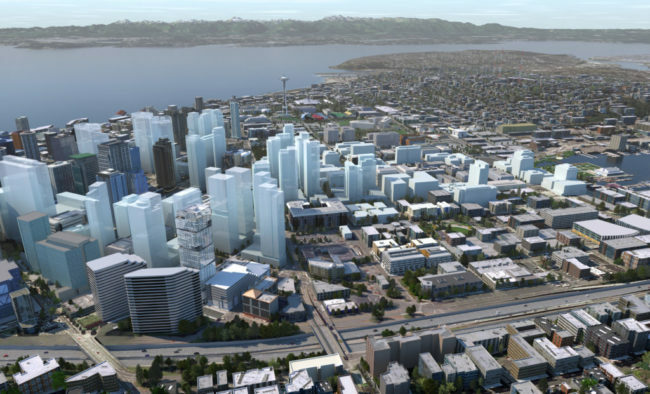 Including Seattle’s 3rd Avenue in the study was a bit of a head scratcher, though. We’ve been lumbering towards making 3rd Avenue car free for literally decades. It’s not as though Seattle has a shortage of TTLs to talk about, either. The post-Ducks-accident lane on Aurora, for example, or the Montlake offramp. Reading through the full study I get the impression that Seattle’s pretty good compared to peer cities but could always be better.